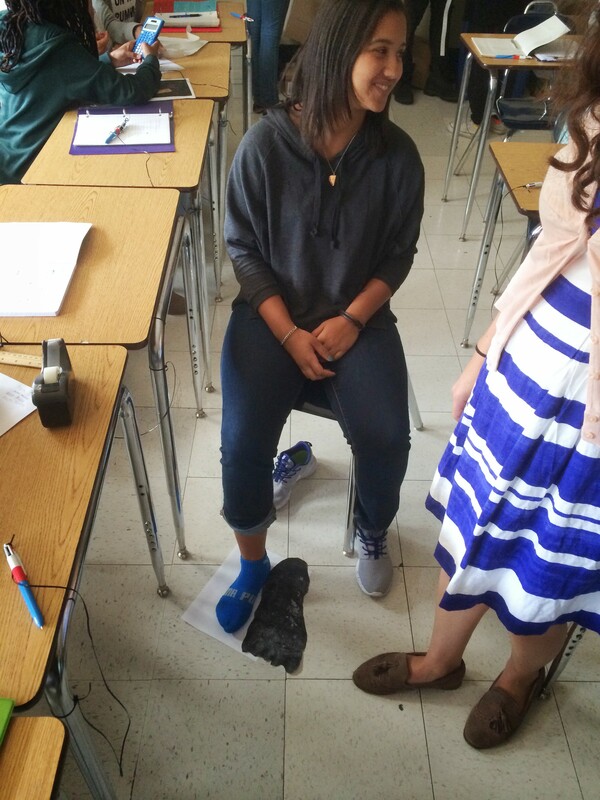 Jaileen uses her own foot to determine the height of bigfoot! Algebra students work together to solve math problems! Students use the whiteboard walls to draw different bridge types!